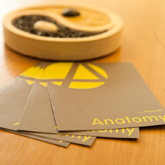 Here at Anatomy Manchester we are experts in Pregnancy massage. Our therapists are all specifically trained in pregnancy massage which not only differs from a standard massage but also as your pregnancy progresses techniques and pressure points change. During the treatment, a massage chair is used to support the upper body and many women report finding it extremely comfortable to sit in. Full body massages are still possible if required through side lying, which is also made comfortable through the use of extra pillows. At no point will you be asked to lie on your stomach, or back in the latter stages of pregnancy. These positions allow for a deeper massage to be done to the upper back and legs – areas which can get quite tight and sore due to the increased pressure on the body. All our therapists in Chorlton are qualified in pregnancy massage and for those pains that are more complex both clinic directors can help with our pregnancy physiotherapy service.